Leather, spikes, face paint, and brandished weapons are standard and go along with a clearly stated stance of outsider-dom. Over the last two decades, a bizarre and violent musical subculture called black metal has emerged in Norway. Its roots stem from a blend of horror movies, heavy metal music, satanism, pagan mythology, and adolescent angst. In the early to mid-1990s, members of this extremist underground committed murder, burned down medieval wooden churches, and desecrated graveyards. 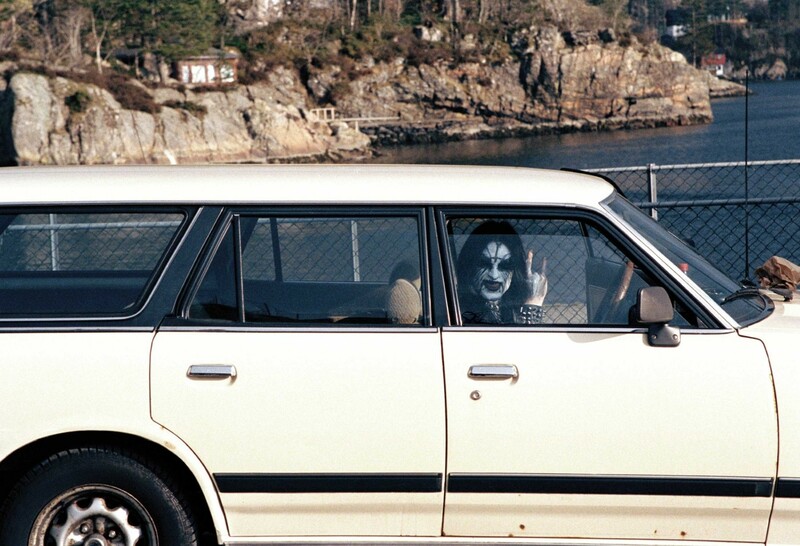 Black metal music and its visuals comprise the most extreme rock ‘n’ roll youth movement to date. Sonically, it is heavy metal pushed to its maximum: Blitzkrieg pace, guttural vocals, and visual and lyrical subject matter embracing what most people try not to think about. Leather, spikes, face paint, and brandished weapons are standard and go along with a clearly stated stance of outsider-dom. Everyday Norwegians have responded with shock and loathing while the mainstream has responded with abject horror and tabloid outrage. The spectacle of tabloid journalism and the well-documented violence of the early 90s fail to explain the constantly expanding, worldwide appeal of this movement. The same subculture that initially embraced obscurity, solitude, and its inherent marginality instead has reverberated around the world, trickling into the mainstream and becoming Norway’s largest musical export. Bands with their roots in the events of the early 90s now regularly reach gold and platinum sales and sell concert tickets in the thousands. As the black metal scene developed its own ideology in the late 80s/early 90s, a few adherents decided to turn their disdain for Christianity into action. Norway is the 4th richest country in the world, one with an incredibly high education rate and an overall high quality of life. The fjords, glaciers and mountains that make up its majestic landscape have inspired singers and poets for thousands of years. In the north the skies are consumed by 24 hours of darkness in the heart of winter and up to 24 hours of sunlight in the summertime. On the surface, there doesn’t seem much to rebel against. The essentials of life are provided by the state. One can make approximately $35,000 annually as a welfare recipient, and it’s not difficult to collect for many years. There is little poverty as the rest of the world knows it in Norway. Until recently, all Norwegians were automatically born into the Church, even though actual church attendance is low. There is little separation between church and state, and when one rebels against the powers that be it is often against the church, as it is the most visible and potent symbol of societal control. As the black metal scene developed its own ideology in the late 80s/early 90s, a few adherents decided to turn their disdain for Christianity into action. They moved to strike back against the Church in the most literal and destructive way possible: by burning Christian places of worship. It helped, of course, that the buildings were constructed of wood, and that most of the locales were far removed from town centers. The arsons were not part of a carefully orchestrated plan, but rather spur of the moment. Within the innermost circle of the subculture these arsons became a matter of pride and honor, defining stature and swagger. One-upmanship ensued, and violent deeds and acts escalated. An aggressive, cultish pride and a complete rejection of mainstream society has been reverberating across the globe from its epicenter in Norway ever since. 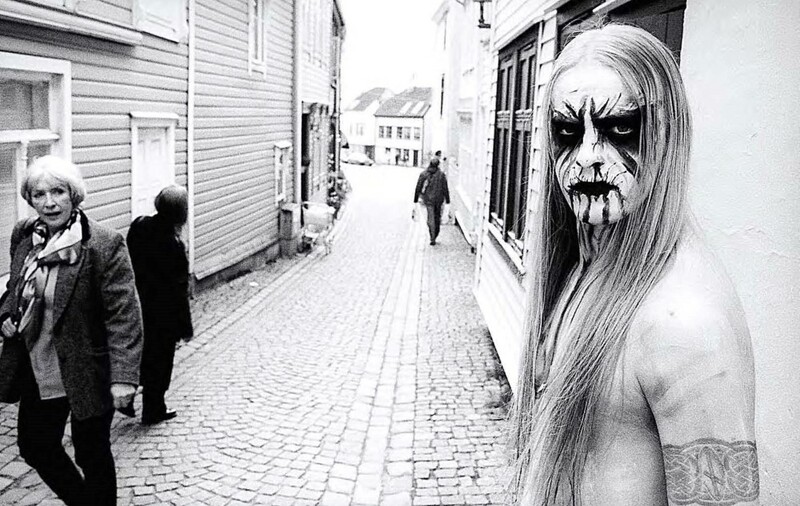 To many members of the Norwegian black metal community, the veneer of Christianity was thin. Historically, Norway’s pagan religions have been belittled by the Church, a sentiment often echoed by its society. What was heroic, larger than life and epic in Norwegian heritage was now taught as myth, or modified by the church to fit into Christian parameters. Former pagan holidays were now Christian. Ancient folk tales were given Christian morals. Old Norse folk songs now had Christian lyrics. The most insidious conversion methods had been subtle and effective. 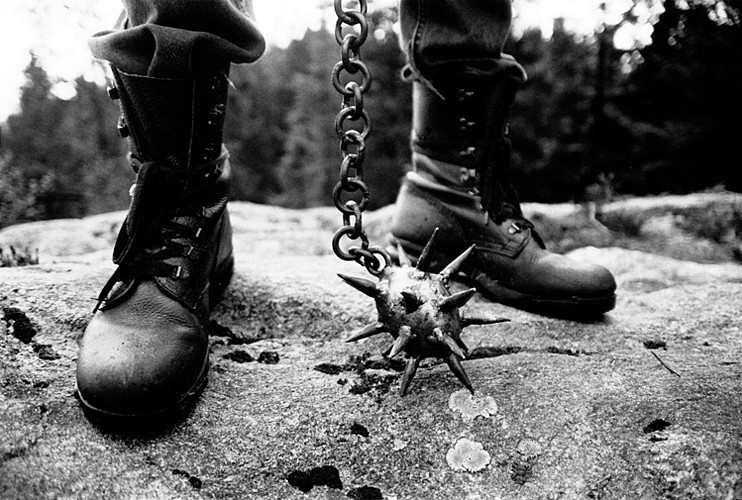 The definition of oppression and totalitarianism for the teenage Norwegian metalhead, the Christian church became a symbolic target, which did not prevent disenfranchised youth from charging head first, like Don Quixote. The torching of the medieval wooden churches, some as old as 1000 years, shook Norway to its core. Most considered the arsons reprehensible, though some saw them as a valid retaliation against Christianity’s brutal conversion methods. Many of the buildings that were burned bore pre-Christian aesthetics and architectural detail the arsonists claimed to be celebrating. This inconsistency hints at the frenzied nature of the events and the thoughts behind them. There were those who realized that when a church burns another will be built in its place. In the face of an adversary, a community rallies around its faith, which is an argument utilized by both sides for opposing means. Euronymous, of the group Mayhem, saw the arsons as a method for generating societal dividing lines, furthering an us-against-them agenda, vital to the black metal movement. This sentiment was echoed by priest Rolf Armand Rasmussen, who ultimately viewed the arson of his parish church, Åsane, in 1992, as an event that brought people together and increased church attendance manifold. A movement that started as juvenile frenzy came to symbolize a war against Christianity. An aggressive, cultish pride and a complete rejection of mainstream society has been reverberating across the globe from its epicenter in Norway ever since. Posted in Essays and tagged Black Metal, Music, Norway, Peter Beste.